Register today for the 2018 Missouri Outdoor Communicators Conference, September 21-23 in Bolivar, Mo. Please email Kyle@TBWGroup.net or Jo@TBWgroup.net at your earliest convenience to confirm your attendance. The conference registration fee is $75 per person if you register on or before August 31. Registrations received after August 31 and conference walk-will be $85 per person. The MOC conference registration will take place at the brand new, recently opened Best Western Plus from 10 a.m. until 5 p.m. on Friday, Sept. 21. 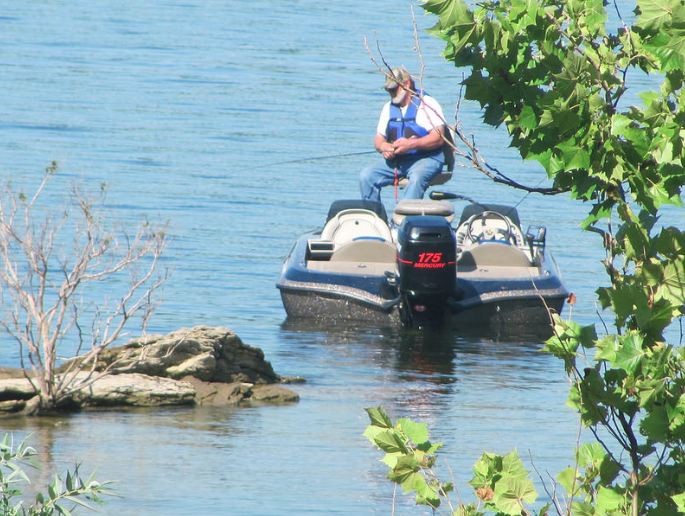 Boxed lunches provided by Toyota USA will be available from 11 a.m. until 2 p.m.
Take a guided fishing trip on either Pomme de Terre Lake or Stockton Lake. "Experience the Bolivar Area, Part 1: Outdoor Adventures"
Dunnegan Gallery of Art is an unexpected jewel of creativity. Take a guided tram tour of Fantastic Caverns - the only drive-through cave in America - just outside of Bolivar. "Experience the Bolivar Area, Part 2"
Spend some time paddling around Pomme de Terre State Park and/or Stockton State Park. "Experience the Bolivar Area, Part 3: Outdoor Adventures"
Conference ends around 1 p.m.
Head for home or make other arrangements on your own for further exploration of Bolivar's variety of attractions, activities and adventures. Please submit your registration form (found at the bottom of this page) by August 24. You may pay for your conference registration via Credit or Debit Card by clicking the PAY NOW button at the bottom of the page or by calling 573-636-8282. Or, you may mail in a check to Missouri Outdoor Communicators, 125 E High Street, Suite 200, Jefferson City, MO 65101. Our conference headquarters is at the new Best Western Plus Bolivar Hotel and Suites, 777 E. San Martin Street, Bolivar, MO 65163. The Best Western Plus has a room block for MOC. If you are planning to attend, please make your reservations at your earliest convenience. The MOC conference rate is $89 per night. Relax in a comfortable room at the recently opened Best Western Plus Bolivar Hotel and Suites. The Best Western Plus officially opened its doors in early June 2018. The hotel features 61 guest rooms, complimentary hot breakfasts, meeting area, fitness room, indoor heated pool, free high-speed internet access, open concept lobby and meeting area, business center, and a green design with environmentally friendly features such as solar panel parking canopies and complimentary electric vehicle charging stations. To reserve your room at the Best Western Plus, please call 417-326-0188. Be sure to mention you are reserving your room for the MOC conference to receive the conference room rate. Lodging reservations must be made prior to August 30 to receive the $89.00 conference rate. Please note, credit cards will not be charged until you arrive and check in for the conference. Named one of the "Best Small Towns in America," Bolivar, in southwest Missouri, is in close proximity to Stockton and Pomme de Terre lakes. Conveniently located on newly-expanded Highway 13 between Kansas City and Springfield, this town of 10,000 offers the benefits of a bustling metropolis partnered with the peace and serenity you'll only feel in a rural setting. Home to Southwest Baptist University, a quaint downtown square, an incredible art museum, celebrated city parks, renowned restaurants, a handful of antique shops, fun festivals and fishing streams, Bolivar is a first-time MOC conference host and an ideal location for potential story opportunities. Please choose an outdoor activity to participate in for Sunday morning.